This latest cold snap has got us reaching for our thermostats, keeping our houses warm but seeing a rise in our heating bills. Period properties are notorious for not being heat efficient so let’s take a look at the ways you can keep warm this winter and save money on your heating bills. A secondary glazing unit in front of a casement window. You may not realise it but installing proper secondary or double glazing into the windows of your property can improve the heat loss by as much as 70%. That’s a great improvement on your heating bill. If you have rotten or poor quality timber windows in the property then an entire refit of heritage double glazed windows can be undertaken to help. If your windows are already in good condition, or have a protected status, then you will need to opt for secondary glazing instead. Whilst this has almost the same effect as standard double glazing, it does not impact on the character of your home, helps to save money on heating and is available across a range of different window types and colours. 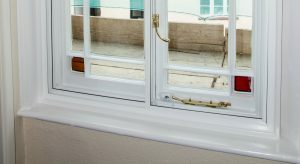 Sometimes older timber and sash windows can be draughty so considering draught proofing is a good alternative to heritage double glazing or secondary glazing. Filling the gaps in your floorboards can help make your rooms a lot warmer. Draughty floorboards are one of the ways that you could be feeling the chill in your period property. One way to combat this is by sealing the gaps between your floorboards by installing flexible piles. Our team can install these, and they can really help with the temperature you feel under foot as well as saving up to £40 a room per year. Insulation can be installed in a variety of places throughout the home. The most common is the loft, if you have one; or alternatively the cellar if this is an option. You can also have wall insulation installed to external and internal walls if you find that they are letting out all of the heat. We can carry out a free survey and advise you on the different options available. For more information, click here. You may not be able to afford a new window or insulation installation in your property, but that doesn’t mean that you have to live in a draughty home. Why not purchase some thick, fully lined curtains to pop up in those areas that feel the chill the most? You will be surprised by just what a difference this simple thing can make. A recent study at the University of Salford proved that drawing your curtains at sundown can reduce heat loss by 15-17%, while drawing a blind reduces it by 13-14%. Bleeding radiators can help make your heating more energy efficient. It may sound like a boring job, but it is a simple one that we often overlook. Knowing how to bleed a radiator can make your heating more energy efficient, keep your boiler in tiptop condition as well as saving you money on gas heating costs. Radiators that contain trapped air are hot at the bottom but are colder further up so do not give off as much heat as they should. 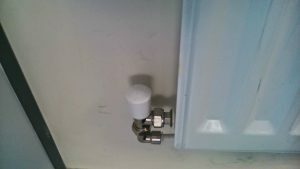 Bleeding them is a relatively easy task – simply put a radiator key into the bleed valve on the radiator and open the valve to let out the air. Always contact a qualified professional if in doubt. This isn’t a matter of Feng Shui, but where you arrange your furniture can affect your energy efficiency. Often, we see people putting their sofas in front of radiators, blocking out heat to the rest of the room. Try moving your radiator or perhaps swap a horizontal radiator for a vertical one. So, there you have it, just some of the ways that you can turn your draughty period property into a warm and cosy home for your family. Before you undertake any type of insulation or installation work it is important that you have checked the rules that are attributed to your property. You should also speak to an expert in the area to ensure that you are going to have quality work completed, which will not only improve the efficiency of your home but also retain the charm and character that it already has. HRG Services provide high quality timber window restoration services covering Dorset, Hampshire, Somerset and Wiltshire. We restore, draught proof and install slim double glazing into existing period windows and doors. Call us today for a free site survey on 0800 246 1947.